Activities like selective logging, hunting, altering or fragmenting the landscape, and other forms of habitat degradation are making the Amazon rainforest more flammable, according to a two-year study of the Brazilian Amazon. The findings, published in the journal Nature, revealed that even protected forest is degraded by human activity. "Rainforests don't normally burn, but human activities are making them much more flammable,” said lead researcher Jos Barlow from the Lancaster Environment Centre. The team, comprising more than two dozen experts from multiple institutions in Brazil, the US and elsewhere, had set out to measure the effects that humans have on the rainforest. The main objective was to break the myth that maintaining forest cover will reduce anthropogenic forest disturbances. The researchers set themselves upon a task of understanding the combined effect of anthropogenic disturbance on the conservation value of primary forests and assessing the relative importance of forest disturbance and forest loss. The study selected 400 plots with the gradient of forest cover varying from pristine to deforested areas. It studied about 2,000 species of birds, plants and dung beetles in different sections of forest in the Brazilian state of Pará. It took two years to gather data from these sites. Population densities of trees, birds and insects are measured. This study examined areas protected by the Forest Code—government policy designed to control deforestation. Although the government has a policy in place to protect Brazilian Amazon from large-scale deforestation, the new study identifies the need for a more concerted effort to safeguard the "hyper-diversity of tropical forests". The researchers observed that areas containing 80 per cent of their primary forests, in fact, lost between 39 and 54 per cent of their conservation value when it comes to biodiversity losses. In some cases, up to 50 per cent of these losses were attributed to disturbance. The difference in the predicted and real-life conservation values is referred to as "conservation value deficit." To look at it statistically, the researchers believe that conservation losses as a result of disturbances across the Brazilian state were equal to the losses one can expect as a result of 123,000 sq km of deforestation. "If you can imagine a landscape with 80 per cent forest cover, I think most environmentalists would say that's a very good scenario and you've maintained most of your core habitat there. But what we found was those landscapes only really have 50 per cent of their potential value, because of disturbance in the remaining forest," said Barlow. Selective logging, for instance, leaves the forest fragmented and “punch holes in the canopy, drying out the vegetation below”. The effects of climate change amplify the problem, making the Amazon much more vulnerable to fire. According to Alexander Lees from Cornell University, who was also the member of the research team, many bird species unique to the Amazon were suffering the most from these effects as they "cannot survive in disturbed forests". In 2015, the Brazilian Amazon experienced 19,739 fires, according to satellite data. They were mainly started by farmers to get rid of weeds in pastures or clear fallow lands. According to the National Institute for Space Research, 11,114 forest fires were observed in the northwestern state of Amazonas between January and October 2015, a 47 per cent increase over the same period in 2014. When only one hectare of forest is chopped down and burned, about 300 tonnes of carbon are released into the atmosphere. The harm it does to the environment is the same as a new car travelling around the world 61 times. In 2015 alone, 5,83,100 hectares of Brazilian Amazon were deforested. What measures do experts suggest? So far, attempts were made to protect the Amazon by focusing mainly on preventing deforestation, but slowing or halting deforestation will remain a cosmetic change if we don’t know how to monitor and reduce forest disturbance. 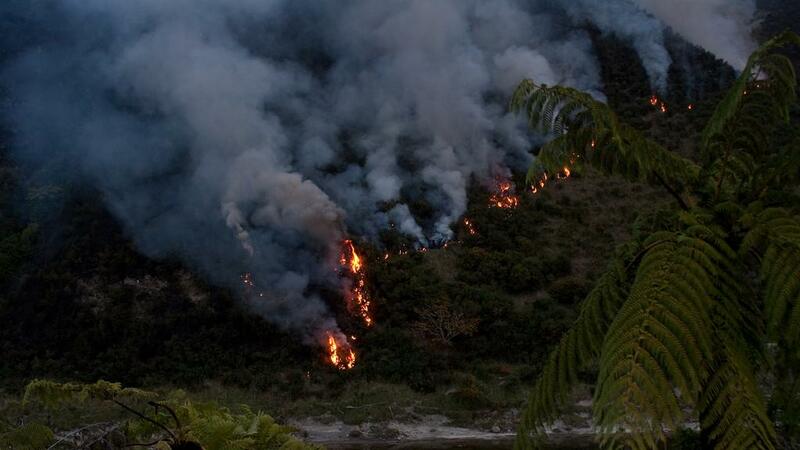 "Immediate action is required to combat forest disturbance in tropical nations. This is particularly important in Brazil, which holds up to 40 per cent of the world's remaining tropical forests,’ said Silvio Ferraz from the University of Sao Paulo and a member of the research team. Toby Gardner, a research fellow at the Stockholm Environment Institute and co-author of the paper, suggested that governments could consider putting better incentives in place to encourage local farmers to adopt sustainable farming techniques. That would also discourage them to avoid land-use practices that might cause large fires. Global warming is happening faster than was predicted. Very worrying! !